Although ONGAA CAM was designed to take advantage of ‘Assemblies’ with single body parts there are times where multibody parts are required. ONGAA CAM can now isolate single bodies for programming and with the use of SOLIDWORKS configurations each body can be programmed as a separate part for machining. This new feature uses the variety of SOLIDWORKS entities selected to determine is a body is to be included in the dimensions of the raw material or not. With the ‘Ignore Bodies without Selections’ activated only bodies where Faces, Edges or Vertexes are selected will be used for geometric calculations. 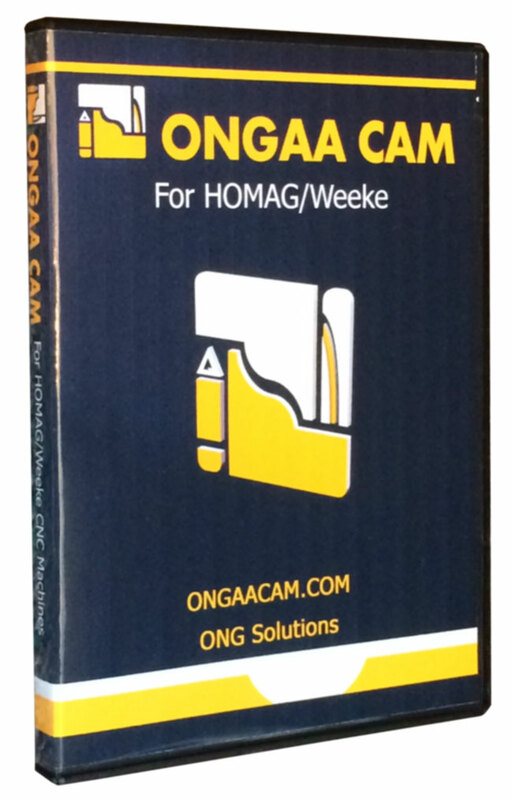 Since ONGAA CAM is already ‘Configuration’ aware, creating a configuration (with no special changes) will allow additional programs to be created which are completely separate from any other configuration’s programs. This then allows each body to be oriented (for machining) independently of all other bodies. ONGAA CAM provides one of the fastest (and accurate) way to program you HOMAG or BIESSE CNC machine directly from SOLIDWORKS. No more LAYERS and DXF conversions. No more editing programs in WoodWOP or Biesseworks/bSolid to ‘finish up’ the programs. All required process options are available while you work in SOLIDWORKS including tool selection, tool compensations, clearances and approach modes. Make all your programs parametric with NO PROGRAMMING in WoodWOP or Biesseworks/bSolid! Works with parts or assemblies, resize them and generate new programs with ‘One-Click’. Options available for ONGAA CAM include Nesting, Edge Banding (Homag) and Networked License Manager. ONGAA CAM Complete provides processes that use both A and C axis. Since ONGAA CAM was first introduced the design team have been working hard to incorporate new features requested by our users. Here we try to highlight whats new in ONGAA CAM’s recent releases. 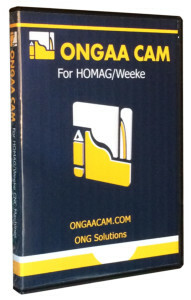 ONGAA CAM now has improved label printing functionality in nesting. Labels always include part name, dimensions material and can also include up to 4 custom properties, a barcode and the image of the parts. The extra data is ideal for subsequent processing such as edge banding. Label setup has also been greatly improved with a new interactive interface allowing you to see the results of changes to parameters. To improve the compatibility of ONGAA CAM and bSolid ONGAA CAM move produces both CIX and BPP files for programming Biesse CNC machines. ONGAA CAM Biesse – Gets Repetition Functions.